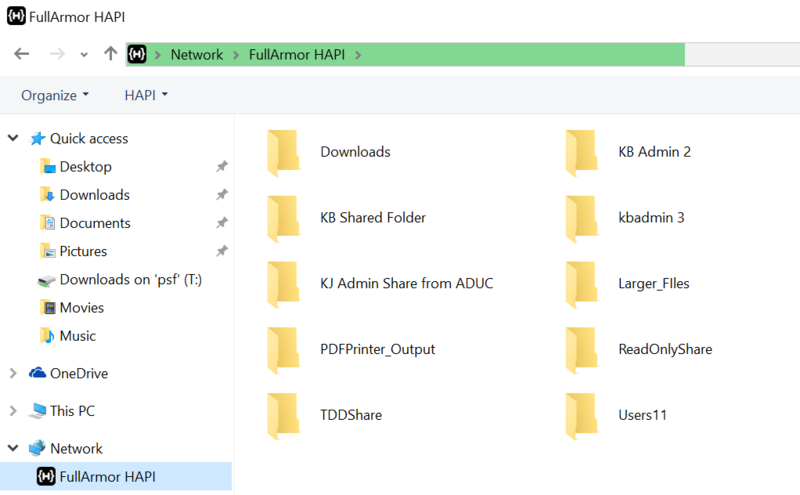 The HAPITM Windows extension provides direct integration with the Windows Explorer UI so that internal files and resources from Active Directory can be seen and controlled directly from the native Explorer UI. This provides the end user with a seamless integrated feel whether working with local files or internal file shares or cloud file storages services from any location. Utilizing single sign on services integrated with Active Directory accounts, a user only needs to login with a single AD credential to gain access to their network file shares, printers, and other AD resources.